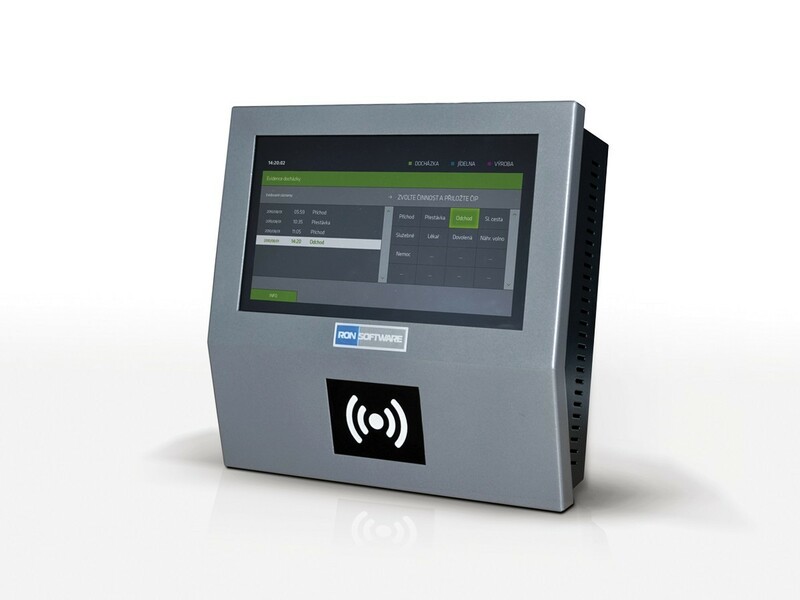 This modern attendance terminal with a touch screen is designed for customers who want to use the attendance system not only for data gathering, but also to inform their employees in detail about their attendance directly on the attendance terminal. 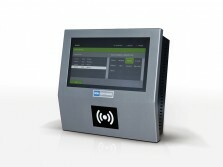 In the standard version, the attendance terminal operates in an online regime and switches to the off-line regime only when connection to the server is down. One appliance can be used for multiple applications – attendance, canteen (meal ordering) and manufacturing (monitoring of commissioned work). a possibility of entry because of departure (for service round for example). 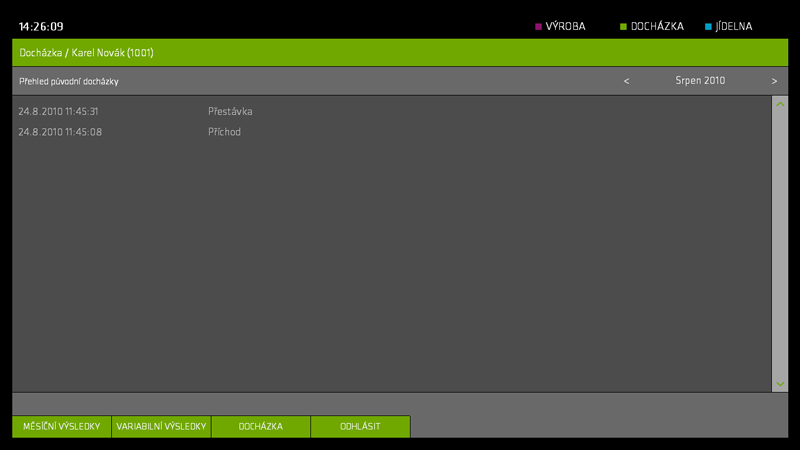 The registered reason is displayed in monitoring – within the intraweb or the DOCHÁZKA application.